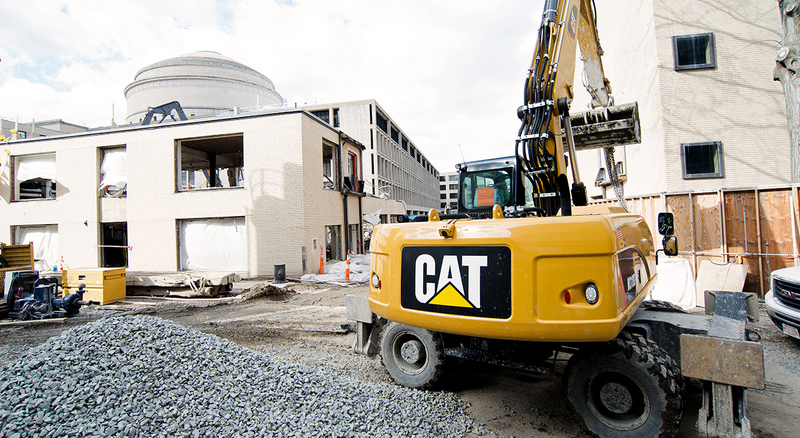 Designed to house more than 2,000 researchers, the MIT.nano Building represents one of the largest commitments to research in the campus’ history. It will provide a consolidated facility for previously scattered and overcrowded micro- and nanotechnology research areas within MIT’s Schools of Science & Engineering. BOND is providing self-performed utility enabling and civil infrastructure services for this major, four and a half year construction effort. 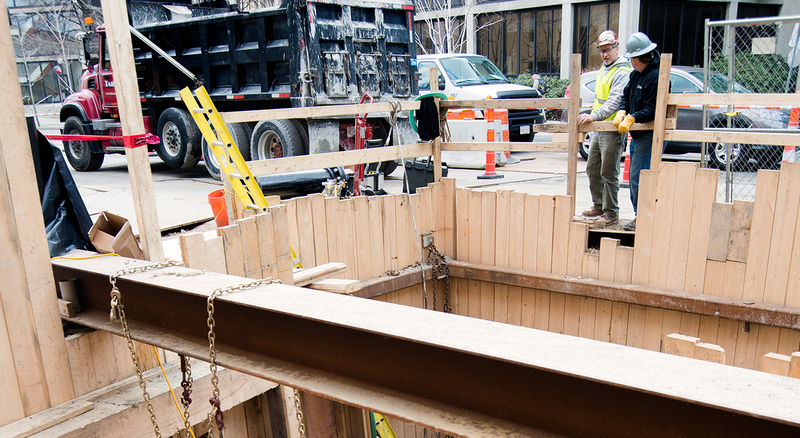 Following the demolition of an existing academic building within MIT.nano’s footprint, BOND’s crews excavated more than 1.4 million cubic feet of dirt to make way for the new facility’s foundation. A jet grout/secant pile earth stabilization system is being used to further prepare the site for construction. 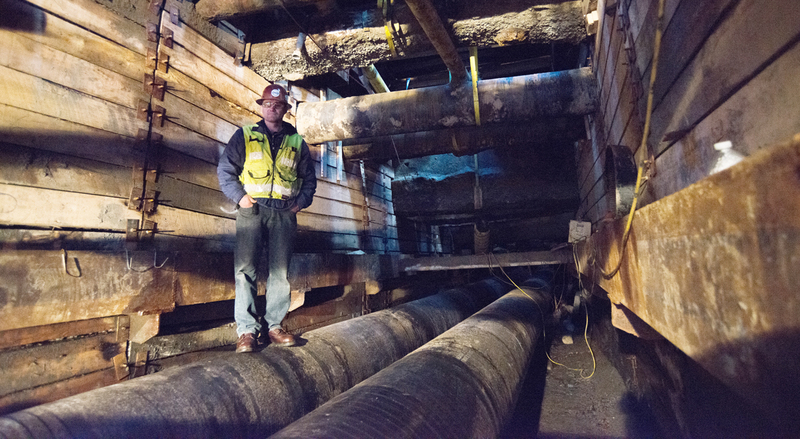 To facilitate utility connections, BOND is excavating and providing earth support for chilled water, steam, electrical, telecom and process piping systems that will eventually be integrated into the completed building.